As co-crusaders in the struggle against apartheid, Nelson Mandela and his wife Winnie changed the course of history in South Africa. 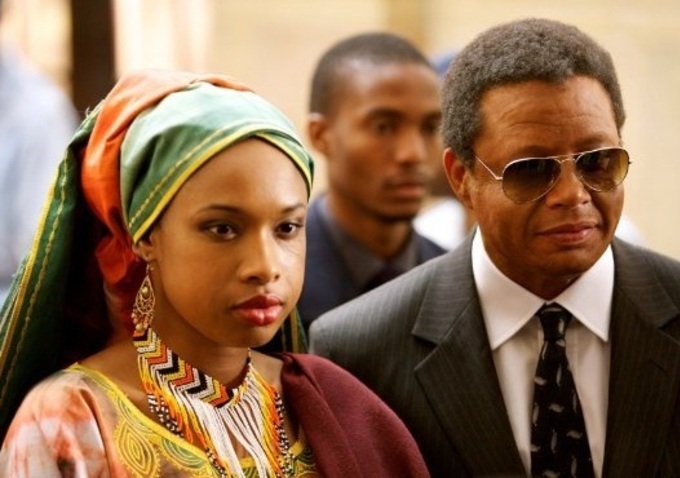 Winnie, the film adaptation of Anne Marie Du Preez Bezrob’s biography, “Winnie Mandela: A Life,” is a drama that follows the life of Winnie Madikizela-Mandela (Jennifer Hudson) from her childhood to her adulthood. A complicated figure in South African history, Winnie’s life began with a strict rural upbringing by a father who was disappointed that she was a daughter instead of a son. Although she had the opportunity to go to Boston to study, Winnie chose to decline the scholarship and remain at home to become her country’s first black social worker. 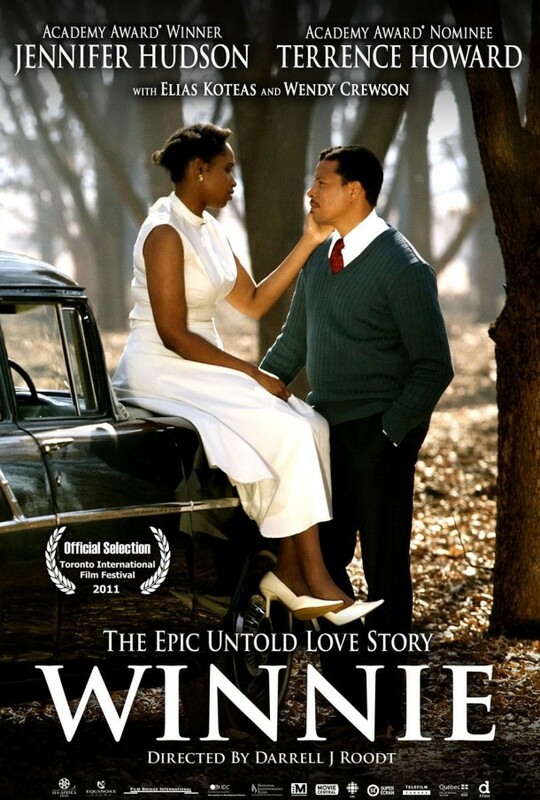 After meeting and marrying Nelson Mandela (Terrence Howard), Winnie faced a slew of hardships. Her husband was jailed, eventually spending 27 years in prison. 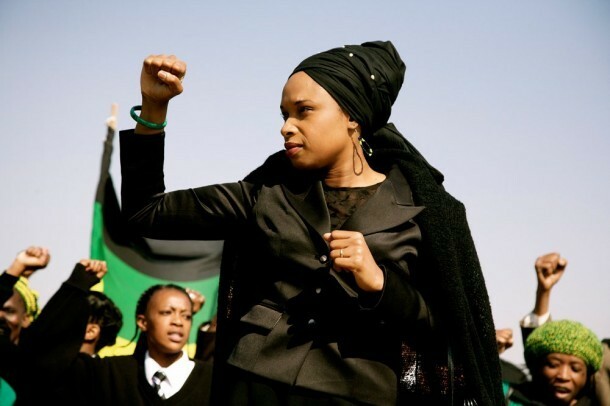 Her decision to carry on her imprisoned husband’s activist campaign resulted in her being harassed by the security police almost continuously and banished to a small Free State town. Then, betrayed by friends and allies, Winnie was arrested and spent more than a year in solitary confinement. After being released from prison Winnie’s difficulties continued. 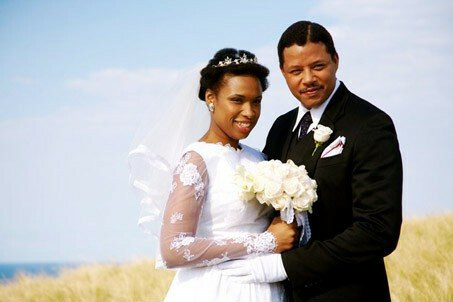 She faced accusations of violence and murder, was convicted of fraud, and saw her marriage to Mandela end in divorce. Winnie tells the story of this strong, very independent woman in broad, black-and-white terms – including the good and the bad. Directed by Darrell J. Roodt from a screenplay by Roodt, Andre Pieterse and Paul L. Johnson, Winnie also stars Wendy Crewson as Mary Botha and Elias Koteas as Colonel DeVries. Winnie is set for a Canadian release on October 5, 2012 by D Films.